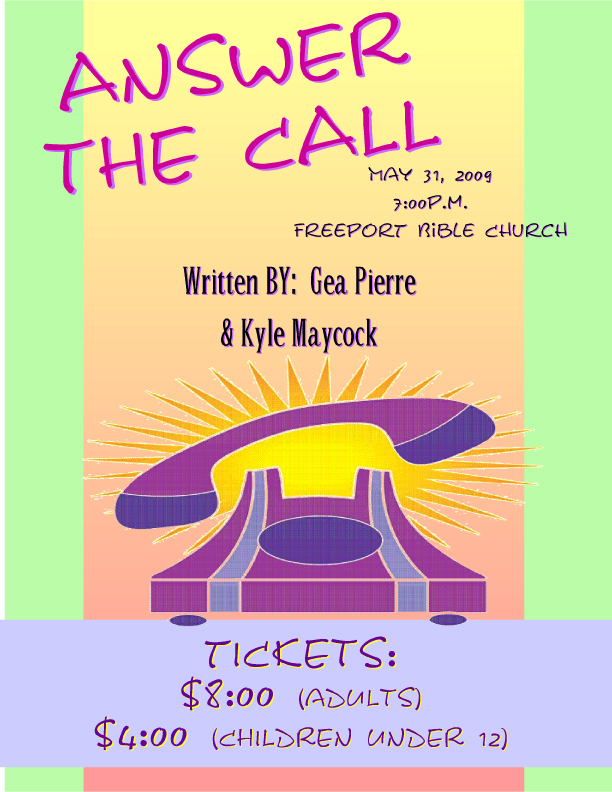 Grand Bahama Island - For one night only, come out and see the theatrical play, "Answer the Call" on Sunday May 31st at 7pm at the Freeport Bible Church, on John Tinker Road. Written by Gea Pierre and Kyle Maycock. Answer the Call is a moving play that the entire family can enjoy. Tickets : $8:00 Adults and $4:00 children under 12. For tickets call 352-6065.